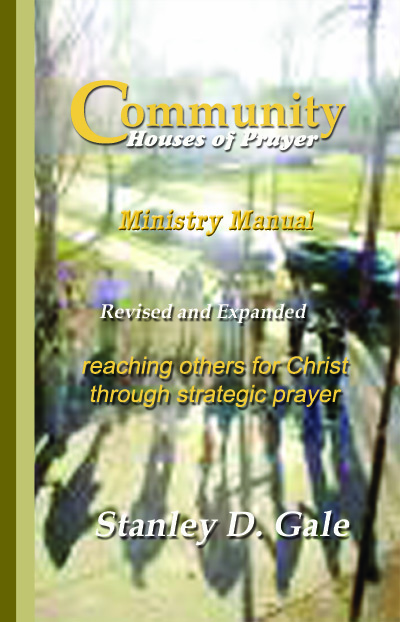 The Daily Prayer Guide (DPG) occupies the heart of the Community Houses of Prayer Ministry Manual. By it, we report six days a week for the work of prayer. The DPG lays before us various passages of God’s Word, where we linger in communion with our God through the varied language of prayer (i.e., praise, thanks, confession, delight). Scripture informs each of the four sections that make up the DPG to direct us in evangelistic prayer, accounting for our enemy’s tactics in spiritual warfare, and interceding for our fellow saints in the great missionary endeavor of Christ’s church. No doubt the greatest prayer book God has given us is the 150 psalms. As God’s revelation, the psalms expose us to the multifaceted character of our glorious Father in heaven. The psalms widen our vocabulary by which we address God. The psalms enrich our prayer lives. They give voice to the human condition in all its complexity. They break the mold of a prayer list typically dominated by parochial concerns for self and our orbits of life that revolve around ourselves. This Psalter DPG employs that great prayer book of the church. In order to follow the structure in the Manual, it arranges the 150 psalms into two books, each book 72 days of prayer, organized according to six days a week for 12 weeks. The Psalter DPG can be used in conjunction with the Manual’s DPG, as an alternative to Scripture texts, topics and prayers found there. Or, it can stand alone to direct us in strategic prayer outreach. One advantage to using the Psalter DPG along with that found in the Manual is to include the training and various ideas of the Manual for moving toward others for the cause of the gospel. The Outreach Orientation of the Manual lays out the CHOP ministry approach in general and the tact of the Daily Prayer Guide in particular. Let me suggest some additional thoughts for using the psalms to guide you in daily prayer along the four sections of Drawing Near, Reaching Out, Enemy Profile and Mutual Support. These thoughts inform the prayer you will find in each day’s prayer guide. Drawing Near. What character traits of God are prominent in the psalm? By what names or titles is God called or addressed? How is that name or title or action especially meaningful in the context of the psalm? It is true that psalms often do have an identifiable context, some like Psalm 51 being the exception. Yet, that lack of context helps to make them songs for all seasons in what we face in life. Into those contexts, God speaks pastorally and relevantly. So as you hear God called, “Sovereign Lord,” ask yourself how that title finds special significance in what the psalmist (and you) is dealing with. Knowing that the Bible is redemptive revelation, how is Christ present in the psalms as its singer or its subject? Read the psalm with an ear to its divine Author and an eye to predicament of its human author, with an intention of response. Reaching Out. How does the psalm inform your prayer as you seek to reach those around you for the sake of Christ? What dimensions of the human predicament are amplified? What issues of the heart are laid bare? What substitutes for God are sought to bring satisfaction, salvation and strength that could be fodder for your prayer on behalf of those you are trying to reach with the gospel? What truths does the psalm contribute to the redemptive landscape in holding up God’s grace and hope? Part of the equipping of CHOP involves learning the logic of the gospel amidst the illogic of grace does not treat sinners as they deserve. The gospel presentation in Appendix C of the Manual lays out the gospel in terms of Creation, Alienation, Initiation, Reconciliation, and Obligation. How is each of these in evidence in the psalm that can fuel your prayer for others? Enemy Profile. We contend for the gospel against a spiritual enemy, protective of his kingdom and jealous for his subjects. The kingdom of God grows at the expense of the kingdom of Satan. The assurance of our Lord attends us that gates of hell cannot withstand the spiritual building project of his church. In the classic passage on spiritual warfare in Ephesians 6, the Apostle Paul calls us to pray for our message, our hearers and ourselves. Prayer as a weapon of spiritual warfare for the sake of the kingdom of God is prayer aware of Satan’s tactics and prayer against his efforts. The primary tactics of the devil are accusation, deception and temptation. How does the psalm before you speak to those tactics that can direct your prayer? How is each one answered by abiding in Christ, the stand of the spiritual warrior? Mutual Support. How does the psalm lead you to pray for others engaged in witness for Christ, whether they be those you have partnered with as part of CHOP or your local church or the church worldwide? What struggles do they face as believers? In what needs can you uphold them in prayer? How are they targets of Satan’s efforts to disqualify them and to discredit their message? May your time with God and wielding the weapon of prayer bless the God whose Word it is, bless others with the life-changing power of prayer, and bless you as a child of God, citizen of heaven and champion of the gospel.